Obtaining a business analysis and valuation is the first step in starting, acquiring or reinvigorating a senior housing project in downtown Atlanta. The city is mid-stroke in one of the biggest urban overhauls of the last century. However, special considerations go into this market that you won’t see with other types of projects. It’s important to work with a business that has an in-depth understanding of the senior care industry. Along with the Atlanta BeltLine project, downtown Atlanta redevelopment is booming. At last count, 28 major projects were in the works. The stuffy, starched collar of the city where “Every Day is Opening Day” is about to get popped, with luxury-level housing, shops and hotels setting a tone for the area that will heavily impact the success of your business plans. In order to do well, you’ll have to meet some minimum standards. Even the dorm housing going up in downtown is paving a path toward opulence. So, what benchmarks will your senior housing project have to meet in order to be more “asset” than “eyesore”? It depends largely on your target client and the services you intend to provide. Several types of senior housing facilities exist, from independent living centers to those offering specialized nursing care. Are you running an independent living community or a specialized care center? Do you offer a mixture of services for clients whose health is expected to gradually require more assistance as time goes on? How is your business structured? It’s these questions and others that determine not only the value of your facility but where it will need to be in order to flourish in the new Atlanta climate. The residential aspect of many senior care facilities makes them difficult to valuate. Business owners struggle with where and how to begin their valuation. Should the focus be on the real property involved or on the services provided? The question becomes even more complicated for facilities which are struggling to turn a decent profit, as there is room for improvement. Similar to the question of whether the chicken or egg appeared first, deciding whether to focus on earnings or real estate when establishing value for a senior care facility has no clear-cut answer. And what about unit price? The average cost per room across senior housing facilities continues to rise. Isn’t that a fair indicator of value? Not according to real estate specialists who cite low-interest rates as a heady component in establishing price. Muddying the waters further is the fact that much of the published information on the senior housing market combines all types of housing under one umbrella. Data is pooled between retirement communities, nursing homes and specialized care centers. Those that do will often run into a separate reporting challenge; business entities are typically valued using after-tax earnings while real estate which generates income is valued using pre-tax dollars. Obtaining a comprehensive valuation from a professional with business and real estate experience is essential in determining accurate figures. Performing a competent business analysis of a senior facility is not as difficult as valuation, though you have to be careful not to be overly confident. As stated earlier, data on these facilities is often reported in a combined method. The capitalization rates you will find listed, for instance, are an average of all types of senior housing. Risks are greater for those offering more specialized care. In a climate like that found in downtown Atlanta, one of the biggest pressures for today’s facility owners and managers will be amplified. Facilities must find a way to stand out from their competition. A wave of renovation is sweeping over area businesses. A center will have to go beyond simple cosmetic upgrades to keep at the forefront of the market. 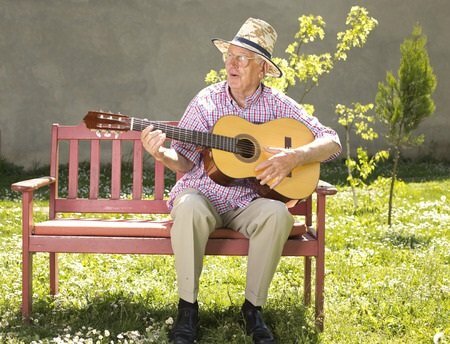 The new wave of seniors entering rehab and retirement facilities is also presenting a big need for change. Tomorrow’s seniors will have higher expectations — and expenses. The Baby Boomer generation expects a different level of service, has different expectations for the convenience of delivery and presents different obstacles in terms of service payment as well. Take advantage of the opportunities presented by Atlanta’s downtown resurgence with a thorough and accurate business analysis and valuation for senior facilities. Work with our team at Global Valuation to get the figures you need from the only business that truly understands the business side of senior services. Contact our dedicated team of professionals today for a consultation.